It shouldn’t come as a surprise that Greater Manchester has a vibrant culture of literature and visual arts, with many highly regarded art and design schools, writing festivals, culture websites and independent publications, and the largest student population in the UK. But for some years now, the places to actually find, read, and buy magazines in Greater Manchester have been few and far between. 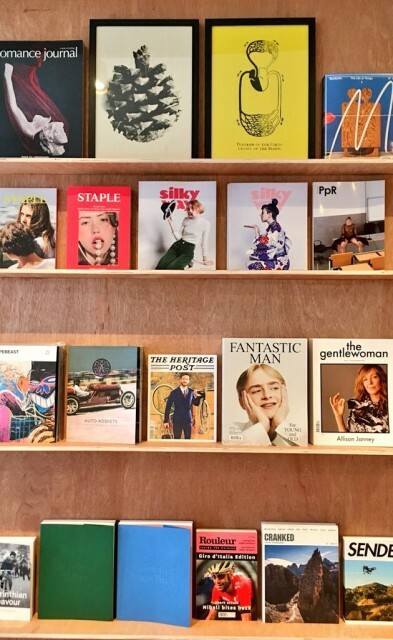 There’s Magma and Paramount Books in the city centre, but besides those, you’re lucky if you can find some free zines stashed in bars and cafes. It’s a shame that, while over the past decade interest in the small press and independent publishing scene has grown, there are few places for artists and publishers to profit from this. 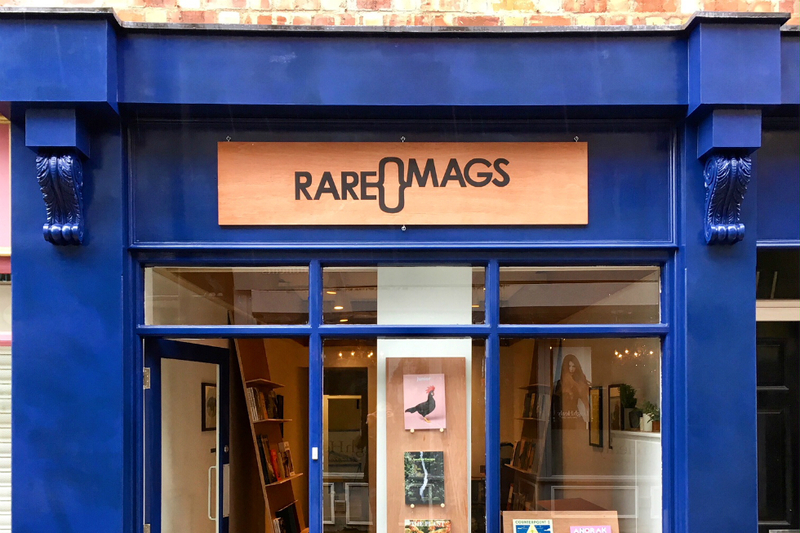 Thankfully, my hometown of Stockport has just seen the launch of Rare Mags, which opened last week following a Kickstarter campaign that the founders, Martin Wilson and Holly Carter, say blew them away. The pair are Stockport locals: Wilson started out as a commercial photographer before gaining an MA at The Manchester School of Art, an experience he tells me was a “real eye opener” to small press publishing. Before going independent, he managed the Manchester branch of Magma. Carter is a designer and maker and former tech teacher. Having fitted out the shop herself, her other passion is cycling, and she’s recently joined Rapha where she runs their Manchester cycling club. She was enjoying herself in sunny Spain while I visited the shop to hear more from Wilson. The Double Negative: Where did the idea for the shop come from? Why do you feel Stockport needs this kind of shop? Martin Wilson: This idea had been in the pipeline for a long time. I’ve got a strange passion for retail and I think in the last six months it’s started becoming a bit more of a reality. We moved back to Stockport from living in the centre of Manchester for many years and suddenly realised: wait a minute, there’s loads of empty shops. Stockport seems to have a bit of a draw – and I don’t think that’s just because I’m from here. It’s got its markets, it’s got its history, it’s got its attractions. Eddie from the Modernist was here the other day, he told me when Monocle magazine are doing their “great cities to live in” article, one of their requirements is that it’s got a good magazine shop. So we were saying “well, Stockport, we’ll be heading up the lists now, Tyler Brûlé will be coming to visit”… Maybe not quite yet, we’ll see. Do you feel a connection to the wider small press/independent publishing scene? In terms of small publishers, there’s countless examples of that across the North-West. I actually ran a small press called Henry Press for many years. The idea behind that originally was to help artists I admired put out their work and make cheap publications; as in, cheap to make and cheap to buy; because I wanted to help people access, easily and democratically, the things that I was making. 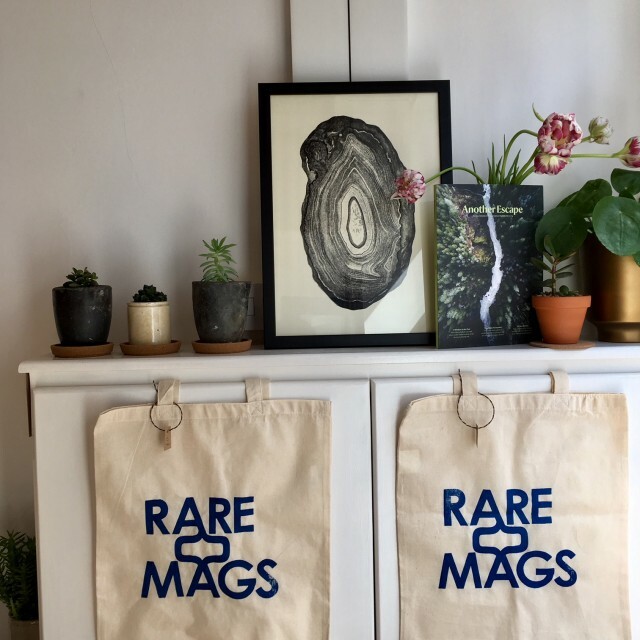 Through print fairs, small press fairs, zine fairs and things like that, I’d say we’re pretty connected to the scene. But you find new projects all the time, you say “how long have you been going?” and they say “10 years”, and I’ve never heard of you before. It’s incredible, it’s good to find out about that kind of thing. How have you found the support for Rare Mags? The support from members of the public, through the Kickstarter campaign and so on, was absolutely incredible. I mean, we were blown away by it! The opening night, we couldn’t have asked for more; we couldn’t really have fitted any more people in the shop! I didn’t think I knew that many people. But there’s a big community around Manchester, you have MARC, Hotbed Press, The Manchester Print Fair — which has been so successful over the years — with things coming out of Islington Mill as well, people like DR ME, the Salford Zine Library. It’s great that that kind of thing that can exist, and that people are interested in it. Hope about about the scope of the publications you have in stock? Well, we’ve got finite space in the shop, so it’s always going to be an edit. I’ve got to draw the line somewhere and there’s got to be a certain level of personal taste that’s coming into it. It starts off largely from my background of visual arts, photography, illustration, and fashion. But then there’s other things like the cycling magazines; there’s always been cycling magazines, but the visual side of it has really taken off. Bikevibe from Oslo is just the most beautiful magazine, the cover is so subtle you wouldn’t even know it was there. The fashion side of things isn’t really my area, but coming at it from a photography angle that’s how I’ve made those selections. The food publications are very popular at the moment, can’t keep them on the shelves. Interiors, I’ve always been a fan of Apartamento, but more recently I’ve found Cabana, it’s the most ridiculous luxuriant magazine with all these different paper stocks; it’s pretty impressive, I don’t know how they do it. Even going down to the kids’ stuff, that’s been remarkably popular. On the small-press side of things there’s Market Cafe Mag, which in quite a short space of time has become a benchmark in terms of a different take on the zine, local photography zines, and there’s some of my own. 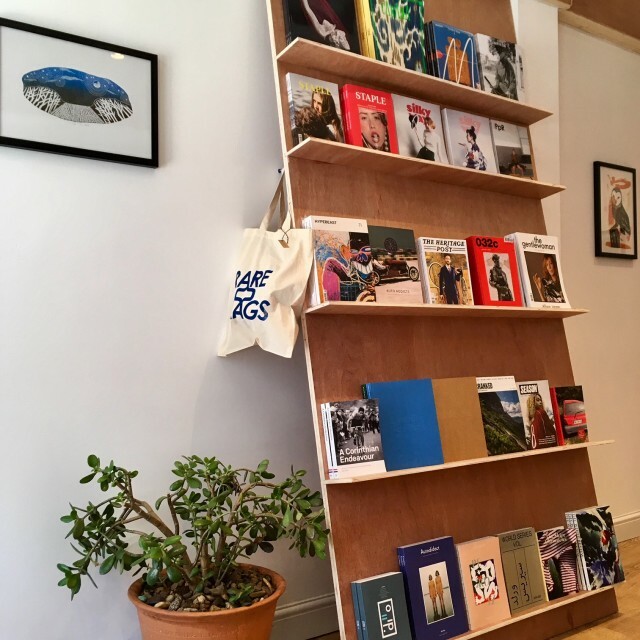 Every day we have people coming in asking if we’ll stock their zines, we try to be as fair as possible and we always take a look at what people have got to show. 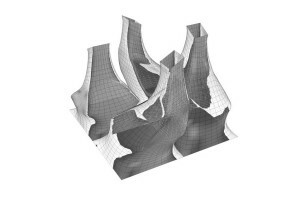 Are there any publications you’d really love to bring in and showcase to people who perhaps haven’t seen them before? There’s magazines out there I wish we could stock that are just really hard to get hold of for whatever reason; they’re from a far-flung country, or they’re really expensive or something. There’s a load of Japanese fashion magazines – like Lightning and The Real McCoy’s – that look like catalogues for bizarre products, there’s no English in them at all and they’re expensive, but I’d love to bring them over. We’ve got a few friends out in Japan, we’re trying to get them to hand pick things that no-one will have seen at all and send over boxes. Another one, from South Korea, is Brand. Balance., known as B magazine. 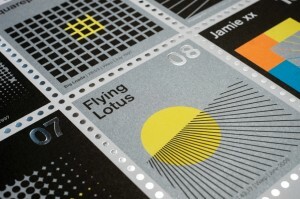 Each issue concentrates on a different brand, so they’ve done everything from New Balance, to Lego, to Google. They’ve just started doing a food spin off called F magazine, we’d love to stock that if it ever gets cheaper to send heavy boxes of paper around the world. There’s magazines from the past I’d love to stock; Inventory which ceased printing a few years ago. They set a benchmark, but almost too early. I feel like if they’d been printing now they’d be still at the top of the game, it’s a shame they didn’t quite just weather the storm. What hurdles did you come across while setting up the shop? 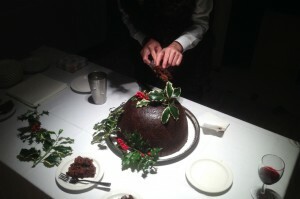 Practical stuff was difficult, but we knew it was going to be difficult. The shop fit was pretty intensive, it was a lot of late nights and trips to B&Q to get bits of plywood cut up. A lot of compromise and change. It’s broadly how I thought it was going to be, but it’s gone through a lot of permutations. We’re living in a good time for print. It’s definitely become a lot more accessible just in terms of getting these things printed. It’s not longer one publisher ruling the roost and producing 50 different titles, it’s independents working together and coming out of all sorts of places. Did you come across anyone saying “this is ridiculous, you’re opening a print shop in 2018”? Yeah definitely; earlier even a customer said “no-one wants anything in print anymore”! But maybe I didn’t talk to enough people, because it never felt like that, it felt very positive. Of course, even if people weren’t saying that to me it was in the back of my mind. How do you get people through the door? Is it going to be me just sitting here alone for the next ten years? Generally, people are positive and I think if you are positive and you do something that makes you happy then it follows that people will come. Other than that it’s felt frighteningly easy… Maybe that’s something I shouldn’t admit. Maybe it’s because of my background in print media and retail, but it feels quite natural. Ask me in two weeks, we’ll see.